Wild dolphins face numerous threats, from hungry sharks to the entangling nets of fishing boats. But scientists have only recently begun to fully recognize another threat: chemical pollution. Around the globe, researchers have found potentially unhealthy quantities of industrial chemicals in dolphins’ tissue and in mother dolphins’ milk. As NATURE’s The Dolphin Defender shows, one group of contaminants is of special concern: polychlorinated biphenyls, or PCBs. More than 200 kinds of PCBs have been used as flame retardants and electrical insulators in products ranging from cereal boxes to plastics. Although they were banned in the United States and many other nations in the late 1970s, PCBs continue to leak into the oceans from river sediments and other sources. The chemicals enter into the food chain and ultimately into fish, which dolphins eat. Researchers with the National Institute of Standards and Technology in Charleston, South Carolina, say that dolphin blubber carries some of the highest PCB concentrations found in any wild animal. Although it is difficult to link PCBs to specific health problems, dolphin researchers have found some troubling trends. One is that female dolphins with high levels of PCBs appear to have lower pregnancy rates than less-contaminated females. That may be because PCBs interfere with the reproductive process. Another finding of concern is that heavily contaminated female dolphins that do get pregnant often lose their first calves. That may be because the mother dolphin “burns” blubber to make milk. The PCBs and other compounds stored in the blubber become part of the milk and are transferred to the calf. The chemicals may harm the baby dolphin’s immune system, making it less able to fight off infections from viruses and bacteria. Scientists have also found that PCB-contaminated male dolphins don’t develop sexually. Even more alarming, research shows PCB similarly affects other members of the dolphin family, such as orcas. As The Dolphin Defender shows, the orca population in Puget Sound, off Seattle, Washington has dwindled in the past 20 years. 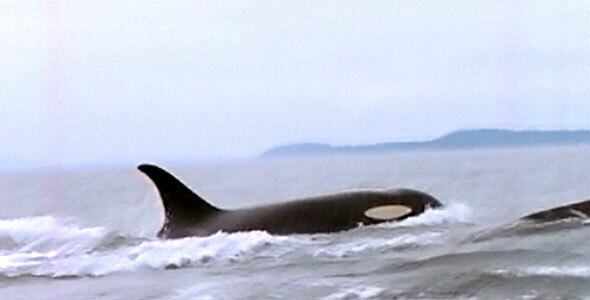 The high mortality rate and undeveloped reproduction systems were attributed to the high PCB levels in the orcas’ tissues. Researchers are still trying to verify such links. They are now conducting several long-term studies of dolphin populations around the world. PCBs aren’t the only target; pesticides and other industrial chemicals that wash into the ocean are also being measured and analyzed. Eventually, conservationists hope the studies will lead to a better understanding of this invisible threat to dolphin survival, which will then lead to possible solutions. © 2018 WNET. All rights reserved. PBS is a 501(c)(3) not-for-profit organization.